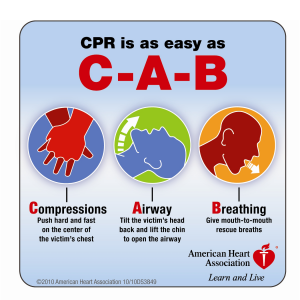 Did you learn CPR in the 90’s or 2000’s? Do you remember “Airway, Breathing, Circulation”? Also called “The ABC’s of Survival”? Do you recall being taught that step 1 is “Look, Listen & Feel for breathing”?